Thomas Howard is an experienced trial lawyer that handles intellectual property litigation nationwide, including copyright, trademark, trade secret and patent litigation, as well as complex civil litigation, including breach of contract, interference with contract, breach of fiduciary duty, conspiracy, fraud and fraudulent transfer of assets. Attorney Howard frequently deals with combined elements of intellectual property and commercial litigation in the cases that he handles, and is very experienced at dealing with highly complex litigation. In addition to representing clients involved in litigation, attorney Howard frequently negotiates and drafts intellectual property-related agreements, including license agreements, nondisclosure agreements and assignment agreements. Attorney Howard also files trademarks and copyrights on the behalf of clients in order to protect their intellectual property rights, and frequently represents clients in trademark disputes conducted before the Trademark Trial and Appeal Board (TTAB), including opposition proceedings and petitions to cancel. Finally, Attorney Howard regularly represents clients in Uniform Domain Name Dispute Resolution Proceedings (UDRP) in order to assist when disputes arise over the ownership of a domain name. Thomas P. Howard has represented hundreds of corporate and individual clients over the course of his practice. 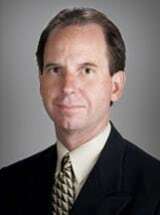 He has been sole or joint counsel in the trial of numerous cases in federal and/or state courts in multiple states. • In Savant Homes v. Collins, attorney Howard represented Colorado defendants sued for copyright infringement, trademark infringement and other claims for allegedly infringing a copyrighted home design. Attorney Howard successfully had all claims dismissed on summary judgment and obtained an award of attorney's fees from the US District Court for the District of Colorado. Plaintiff appealed to the 10th Circuit and attorney Howard again defended his clients on the appeal. The 10th Circuit, in its first detailed analysis of a copyright infringement matter involving architectural works, upheld the ruling of the district court and again awarded attorney's fees to attorney Howard's clients. • In MacCalmon Music, LLC v. Maurice Sklar Ministries, Attorney Howard represented a musician whose copyrighted works were copied and incorporated into another work without license or permission. Attorney Howard successfully litigated a claim of copyright infringement and other claims and obtained a judgment of actual damages, statutory damages, legal fees and costs. • In Saturn Systems, Inc. v. Militare, Attorney Howard represented Plaintiff Saturn Systems, Inc. at trial in the Denver District Court involving claims under the Colorado Uniform Trade Secrets Act as well as breach of contract. The claims arose from an employee's alleged theft of a client list and breach of a non-compete agreement. Saturn obtained damages and attorneys' fees, as well as permanent injunctive relief. Defendant appealed, and Attorney Howard again represented Saturn Systems. The Colorado Court of Appeals upheld the district court decision and again awarded attorney's fees. • In Huntsman v. Soderbergh, Attorney Howard successfully defended a software manufacturer in a trademark and copyright infringement matter involving claims filed by nine major studios and 16 Hollywood directors. All claims filed by the studios/directors against Attorney Howard's client were dismissed. This matter led directly to the congressional modification of both the Trademark Act and the Copyright Act. • Attorney Howard recently represented a tax resolution company in a case involving employee theft of trade secrets. Attorney Howard filed and obtained an ex parte motion for a temporary restraining order barring the use or transfer of a stolen company data taken without authority, and subsequently obtained a complete and broadly worded permanent injunction pertaining to the same. • Attorney Howard recently defended the City of Boulder in a trademark dispute before the Trademark Trial and Appeal Board. All claims were dismissed. • Attorney Howard recently represented a Colorado health professional in the Jefferson County District Court involving claims brought under the Colorado Uniform Trade Secrets Act as well as breach of contract. Attorney Howard litigated the case at trial and obtained damages and costs. • Attorney Howard recently argued and obtained a preliminary injunction on the behalf of a client suffering from trademark infringement in a matter involving the travel industry. • Attorney Howard recently argued and defeated a motion for preliminary injunction in a matter involving claims of trademark infringement and other related claims in the field of health supplements. • Attorney Howard recently litigated a matter in which the client was sued for copyright infringement, among other claims. Counterclaims were filed for trademark infringement and other claims. Plaintiff's claims were dismissed and damages, legal fees and injunctive relief were obtained. • Attorney Howard successfully defended a client in the United States Federal Court for the District of Colorado against claims of trademark infringement, filed counterclaims alleging patent infringement, obtained a denial of plaintiff's motion for summary judgment, and obtained a satisfactory settlement and dismissal of all claims. • Attorney Howard represented an online seller of medical equipment bringing claims of copyright infringement and trademark infringement against a party it alleged to be selling similar products online in a manner that infringed its copyrights and trademarks. The matter was brought to a successful settlement within five months of being filed. • Attorney Howard successfully represented a client alleging trademark infringement against defendants using the clients' trademarks without license or permission on Internet advertising. • Attorney Howard successfully represented a Colorado software manufacturer in a copyright infringement lawsuit involving the copying, distribution and sale of the clients' source code. • Attorney Howard successfully represented a client in a copyright infringement action involving a copyrighted technical drawing the copying of architectural works. • In 2006 Attorney Howard defended a client in the Boulder District Court in a matter involving claims of theft of trade secrets and breach of fiduciary duty. The matter was successfully settled and dismissed subsequent to discovery. • Attorney Howard has successfully represented the American Society of Composers, Artists and Producers (ASCAP) in multiple copyright infringement actions in the United States Federal Court for the District of Colorado involving the use of copyrighted artistic works without license or permission. • Attorney Howard argued a jury trial in Boulder County District Court involving claims of trespass, negligence and nuisance and obtained a jury verdict totaling $269,000, plus interest and costs, on the behalf of his clients. All counterclaims for damages raised by defendants were denied. Subsequent to trial, Defendants moved for new trial or judgment notwithstanding the verdict. That motion was denied on all counts on April 16, 2008. • Attorney Howard went to trial in Arapahoe District Court on the behalf of a client and obtained a judgment for damages and attorneys' fees arising from breach of contract, unjust enrichment, and civil theft. • Attorney Howard obtained a judgment in the Boulder District Court on the behalf of a client in the amount of $582,614 arising from check fraud and civil theft. • Attorney Howard went to trial in El Paso County District Court in a breach of contract, defamation, interference with contract and conspiracy matter involving counterclaims against attorney Howard's' clients of over $500,000. The court awarded attorney Howard's client's damages, dismissed all alleged counterclaims against the same and awarded them their attorney's fees. On appeal attorney Howard was again retained; the Colorado Court of Appeals upheld the decision of the district court. • Attorney Howard represented a plaintiff partly through trial in a complex action involving a fraudulent transfer of assets, exemplary damages, and the piercing of a corporate veil. The case was settled subsequent to his presentation of plaintiffs' case. • Attorney Howard defended the owner of a large hotel franchise in a breach of contract dispute involving a business management contract. The matter was successfully settled subsequent to discovery. • Attorney Howard defended a Colorado contractor accused of violating the Colorado Consumer Protection Act. The Court dismissed the claim and awarded attorney's fees to Attorney Howard's client. • Attorney Howard co-directed a successful and highly complex eleven month international insurance fraud investigation regarding a claim of over forty-five million dollars.